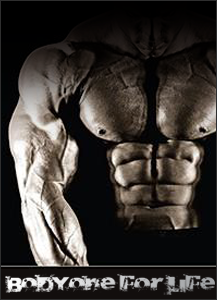 The BCAAs (L-Leucine, L-Valine, L-Isoleucine) decrease muscle catabolism (Muscle breakdown) and reduce muscle soreness. Glutamine is found in large amounts in skeletal muscle and increase protein synthesis thus it help to build and maintain muscle. extremely important to muscle recovery. Glutamine improves electrolyte absorption to acid rehydration after training. leam muscle mass and strength. This may be due to HMB’s ability to inhibit the enzyme that catalyses the breakdown of creatine phosphate. ngredients: BCAA 3500 HMB:L-GLUTAMINE L-Leucine Ketoisocaproic Acid, L-Isoleucine Ketoisocaproic Acid, L-Valine Ketoisocaproic Acid, HMB (Beta-Hydroxy Beta-MethylButyrate), GKG (Glutamine Alpha-Ketoglutarate), L-Alanine, N-(Aminoiminomethyl)-N-Methyl-Glycine, L-Phenylalanine, RNA (Ribonucleic Acid), Uncaria Tomentosa. Other Ingredients: Dicalcium Phosphate, Microcrystalline Cellulose, Croscarmellose Sodium, Stearic Acid, Magnesium Stearate and Silicone Dioxide. Take at least 2-4 capsules before training. Take at least 2-4 capsules immediately after training.